So you’ve decided on your vacation dates, secured your resort reservations and now it’s time to plan your dream vacation! You’ve studied the advice out there, created a packing list and decided where to book your precious Advance Dining Reservations (ADR’s). You’ve studied the park hours and crowd calendars and planned your itinerary! (And you’ve made a color coded binder to keep track of all that information! Wait- you don’t do that- well, it is super fun! ) Yes, there is plenty of advice out there on what to do. But there is not much information on what not to do, or mistakes to avoid. So I thought I would offer some insight on my biggest Disney mistakes and give you advice on how to avoid a few mishaps you may not have considered. 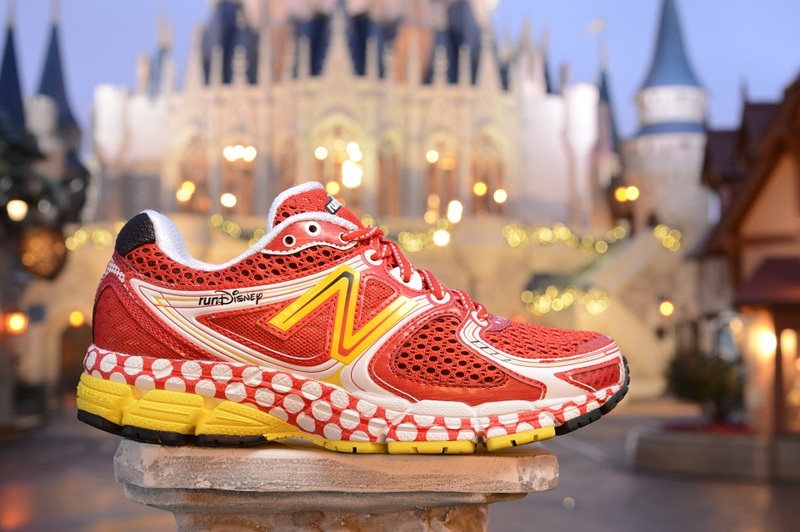 Did you know that the average amount a person will walk during a day at Disney World is between 6 and 13 miles. This is one of the lessons many people have to learn the hard way, but not you, because you’re reading this! It’s a great idea for each member of your party to “train” for the sheer amount of walking they can expect to do on vacation. Don’t let this overwhelm you, just start walking a few times a week and increase the frequency and distance as is comfortable for you. And be sure to walk in the shoes that you plan on wearing on your trip to make sure they are well broken in. Another good idea, throw an extra pair of water shoes, a blister covering stick and some band aids in your backpack just in case. Nothing ruins a perfect Disney day like sore feet, tired legs, blisters and wet soggy tennis shoes. Trust me, I’ve been there. Weather can be a bit unpredictable, and although that weather app may ensure you a warm and sunny vacation in November, leaving your layers at home may be a dire and expensive mistake. During one trip in January, we packed sweatshirts and pants just in case, but not the winter coats and gloves we ended up needing most of the trip. It was the coldest week Orlando had seen in the prior 8 years. It was not predicted, and we were not amused. Disney merchandise is not inexpensive either, you will do well to bring your own umbrellas, rain slickers, gloves, jackets, water shoes, etc. Better to spend those extra funds on Disney Quest, movies or bowling if the weather turns ugly. Trust me, I’ve been there. Although I agree with having a plan, there is a down side to a concrete plan that has little flexibility. There will be days when everyone is well rested, the weather is picture perfect and the stars align for you to have the perfect Disney day. But, I guarantee you, not all days of your trip will be that magical. One bit of advice is to consider Park Hopper passes if you can afford the extra cost. This allows you to change your plans and park if need be. For instance, your must do park is Epcot. And you plan your entire day there followed by an ADR at your favorite signature restaurant there. But the weather does not cooperate, so you decide to go to another park. But without that Park Hopper pass you would need to use another Magic My Way Ticket to make your ADR in Epcot or lose out on that dining experience. So although they are a bit more expensive, they do come in handy to help you be more flexible. While you are sitting at home in your pajamas and fuzzy slippers you may envision that you can see and do it all in a week-long trip to Disney- but in reality it is just not possible to see and do it all. Go with the attitude that you will see an agreed upon list of must-do’s, but then let the rest go and enjoy yourself. This is your vacation after all! And most likely, not your last Disney trip! Stop and smell the roses, you and your travel party will thank you. In 2013 we attended the MNSSHP on Halloween night, you may remember me blogging about it. I think part of what made it magical was the following day we enjoyed sleeping in as late as we wanted, had a relaxing day at the pool and reflected and recharged before hitting another park the following day. Nothing ruins a vacation faster than exhaustion. Trust me, I’ve been there. What did I say? Isn’t Disney World the happiest place on earth? Yes, it is. But it is not a perfect place on earth, since there is no such thing. There will likely be a hiccup along the way, and expecting complete perfection is the easiest way to end up discouraged. During my vacations I have experienced extreme adverse weather conditions, lost luggage, illness both on and off the cruise ship, disagreements with family members, grouchy teenagers, canceled shows, longer than expected wait times at restaurants and rides, monsoon rain conditions and very rude fellow Disney goers. These are just some of what could come your way, so it’s better to prepare for what you can and try to focus on the many wonderful aspects of your trip instead. Don’t let a disappointment ruin your vacation, be adaptable and try to keep calm and go with the flow. So there’s some of my best advice which came from my own mistakes, now you don’t have to learn the hard way! Make sure you walk, invest in good shoes, consider the weather, be flexible, relax and let go of perfect. Do these things and you are sure to avoid many common mishaps and have a magical Disney World vacation!